We started make products with sensibility at the chef. Our products must be overwhelmingly delicious. It has deliciousness to convince a professional chef. We have absolute know-how to reproduce this with "Surume ika". Even though it is compared with other well-known production areas, We have confidence in overwhelming taste. Japanese food culture walking with the fishery. We have a traditional culture of Japanese food. It is called ”Washoku” in Japanese. Washoku was registered as UNESCO's Intangible Cultural Heritage in 2013. Basically, Washoku is soup, rice, one main dish, and two small side dishes. Washoku is characterized by the use of various seasonal fresh foods, and is famous as very healthy food due to a low-calorie, nutritious and well-balanced diet. Japan is surrounded by a rich ocean and is blessed with brackish water areas and tides with high productivity. We have used a wide variety of marine products rooted in the community." But eating lots of fish is not called "fish food culture". The accumulated knowledge and knowledge will continue to the next generation. That is "fish food culture". From now on we aim for further development of Washoku, we will deliver the foundation of "fish food culture" we make new history to the world people through export of fishery products. Falling in love with Squid. Our production base has 2 factories near the Japan sea of Sakata City, Yamagata prefecture. Our Kyoden factory obtained FSSC 22000 certification in December 2017. Our raw material uses only Surumeika (Japanese Frying Squid) of Freezing factory ship which goes north of Japan Sea. Surumeika can live in water from 5 to 27℃, and tend to inhabit the upper layers of the ocean. They are short-lived, only surviving about 1 year. Surumeika of Japan has very long history, and Surumeika is offered as a tribute to the Imperial court from ancient times. Surumeika is still auspicious goods now. Surumeika was an important export item to China and Southeast Asia with the Japan-Ming Trade in the Muromachi period and the subsequent the trade between China and countries in the southern sea (Indochina, Malay and etc). It lasted until the Meiji / Taisho period. We started make products with sensibility at the chef. Our products must be overwhelmingly delicious. It has deliciousness to convince a professional chef. We have absolute know-how to reproduce this with "Surume ika". Even though it is compared with other well-known production areas, We have confidence in overwhelming taste. A smile will be created by delivering our delicious goods. 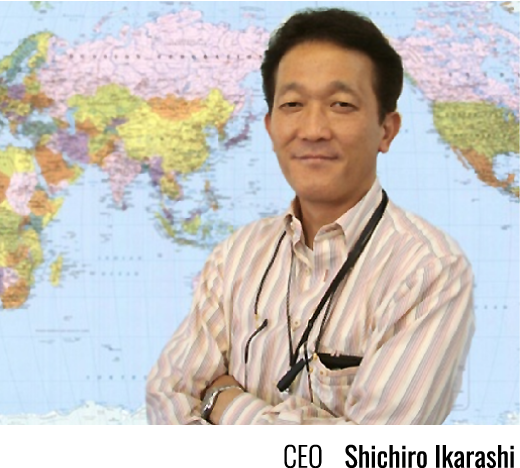 We want to be a squid processing expert in the world from Japanese squid processing experts. I want to make a new world standard. I'm Shichiro IKARASHI of CEO of ASKA Foods. We runs a fishery processing industry in Japan. Raw material is only squid (Japanese surume ika). 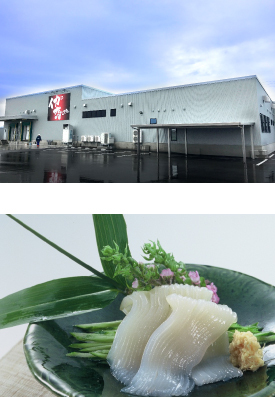 In 1995, we founded Asuka Foods Co., Ltd. in Sanjo City, Niigata, relocated our headquarters and factories to Sakae-cho, and in 1998 we moved our head office and factory to Shimohonai Industrial Park in Sanjo City, In 2015 and 2016, we newly established Minato factory and Kyoden factory in Sakata City, Yamagata. And We have four sales offices in Japan. Our kyoden factory has obtained FSSC 22000 system certification. Our company with a capital of $ 89,000. It is small business in Japan. But we have a history of more than 20 years. The number of employees has also been increasing. We have one factory in Niigata and two factories in Yamagata. Our technical strength has a high reputation. Surumeika of Sakata which is the main raw material of our products, even compared with other famous production areas, I am overwhelming confident. I have a motto that our products must be delicious overwhelmingly. Deliciousness to convince a professional. We have absolute know-how to reproduce with "Squid". As a result of collecting information thoroughly from fishing boats to high-level kitchen utensils, there are present and present progressive forms. In our products, I think that the category "squid" is the first step in the movement of new food categories, unlike the current one. © 2018 Aska Foods Co.,Ltd.